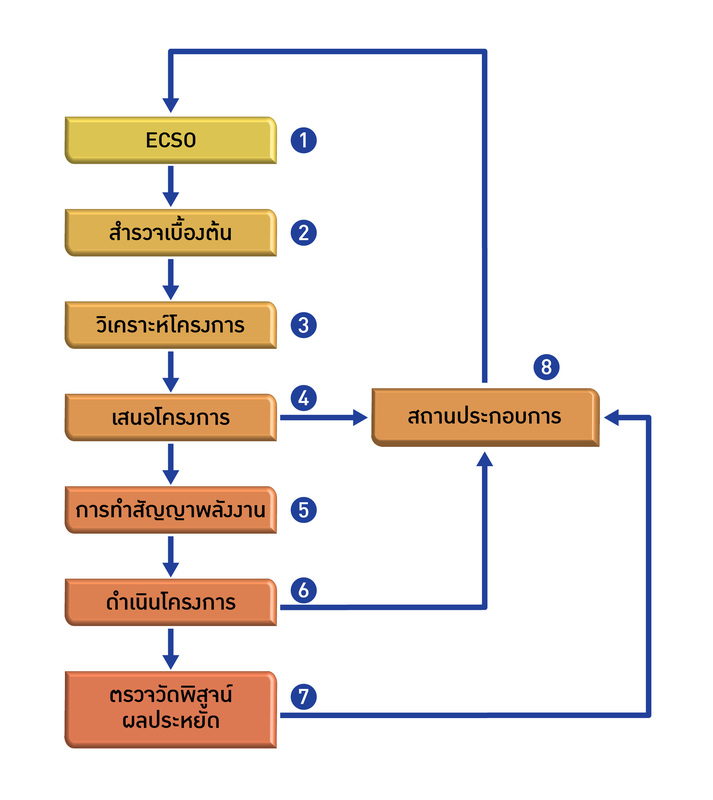 ESCO Service - ECS Energy Solution Co.,Ltd. 1. What is ESCO Service ? ESCO stands for Energy Service Company. ESCO refers to a company that provides management services to improve energy efficiency. As well as other services. The promotion of cost reduction. And increasing the profitability of its customers in industry and commercial buildings. 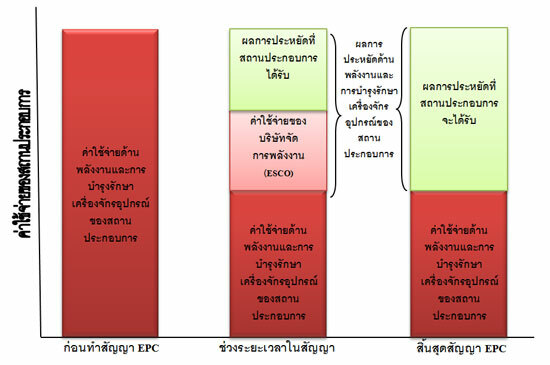 The mechanism of energy management ESCO, it is Energy Performance Contracting : EPC. Which is responsible for providing services to meet the agreed power-sharing deal between the company and customers. 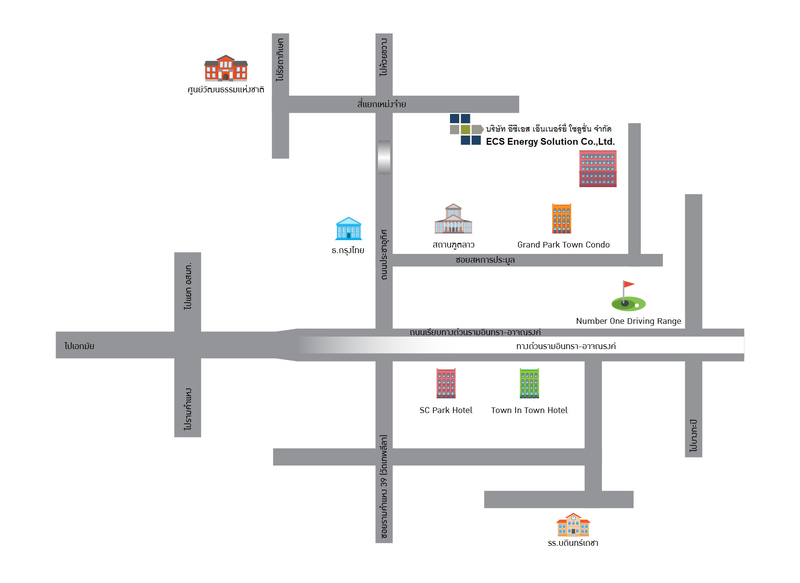 Clients : That is the industrial or commercial building. 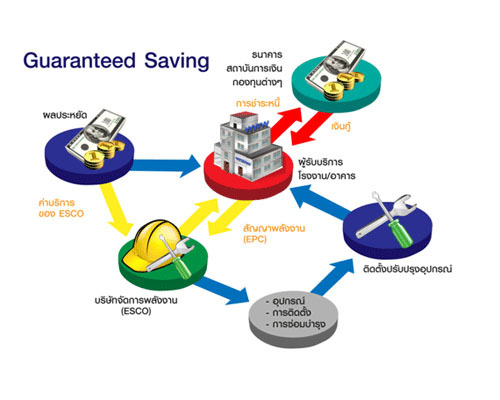 To reduce energy use by the ESCO guarantees the savings. Funding : Authorized investments for energy savings of the industrial or commercial of financial institutions, Bank, or the ESCO. Monitoring of energy consumption. Include preparation of the goals and plans for energy conservation. And engineering design. Provide or help fund the project. Supply or the supply, installation, construction, and maintenance. Monitoring and evaluation of energy efficiency projects. Training and other services. Related to the energy saving. Shows this process of energy conservation, energy management company. The ESCO will invest this money and energy saving plan. The patient is responsible for paying the fee. 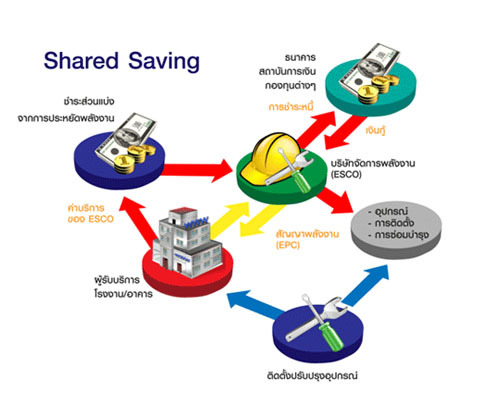 And bring the benefits of energy savings to be called Sharing Saving. It has ratio of fee have to pay for ESCO more than Guaranteed Saving. Because of ESCO to bear the risks. Forms of investment projects for energy companies can be classified as a major investment into 2 types. Measurement and verification of energy savings as well. The plan should include monitoring and verification of energy savings M & V plan should include the following information. Performance and Energy-related information. For use as a reference base year (Base Year) and the. 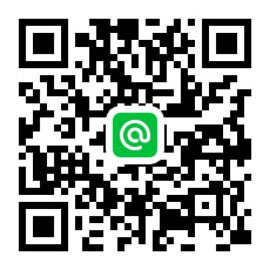 Collection of information and power up the device. After updating the measures already taken.